Despite the general knowledge that bureaucracy moves at a glacial pace, graffiti abatement notices seem to arrive with lightning speed. For the second time, one city department has issued a warning to another department to clean up a lot at 16th Street and South Van Ness Avenue. Last year, it was for a blighted lot, and this year, it’s for graffiti. 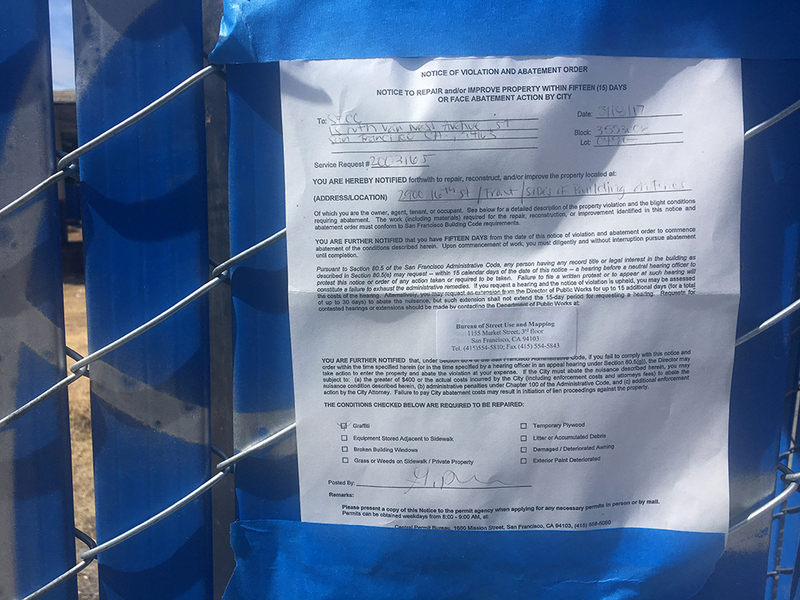 The notice was posted at 490 South Van Ness Avenue, which also faces 16th Street. It is addressed to “SFCC,” the owner of “2900 16th Street,” which correlates to San Francisco City and County and an approximation of the property’s 16th Street address equivalent. The city purchased that property from a developer in 2015 to construct 72 units of below-market-rate housing. 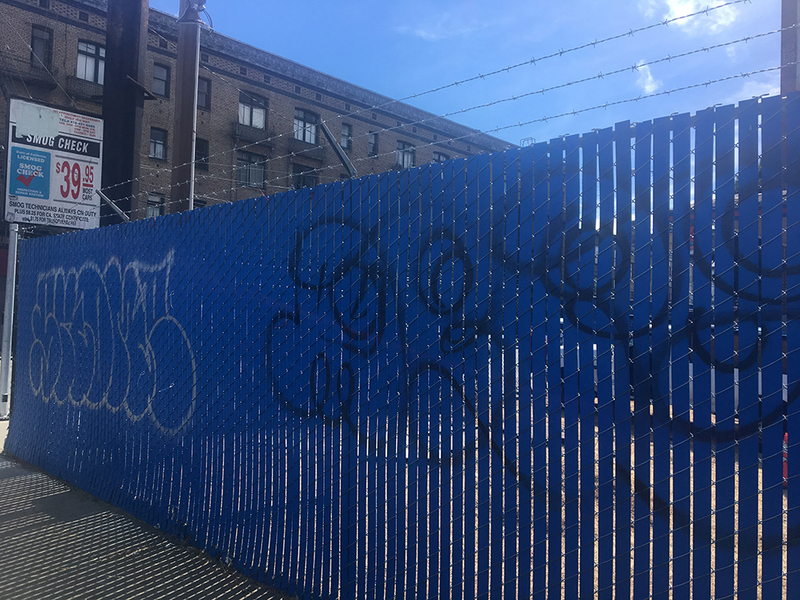 At some point, the chain link fence surrounding the lot was upgraded with opaque plastic filler strips, which now bear various graffiti tags. The citation is dated May 17 and warns the property owner to abate the graffiti violation within 15 days. If that doesn’t happen, the city will face either a $400 fine or the cost of the repairs as conducted by the city, whichever is greater. So, if the graffiti remains in place by June 1, does one city department write a check to the other? Does one department enact “administrative penalties” on the other as per the notice’s dire warning? Do we get caught in some kind of quantum bureaucracy paradox? City officials with the Department of Public Works and the Mayor’s Office of Housing were not immediately available for comment.